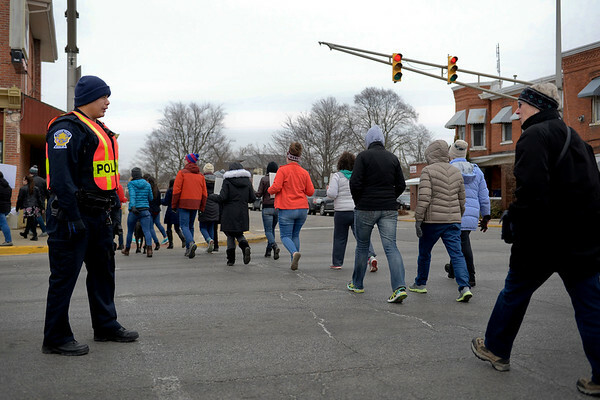 Goshen Police officer Alex Rosales stops traffic for protesters to cross Lincoln Avenue Saturday during the March for Our Lives protest. Many thanked Rosales as they walked by. "I wasn't expecting so many to thank me, especially with so much going on," Rosales said.